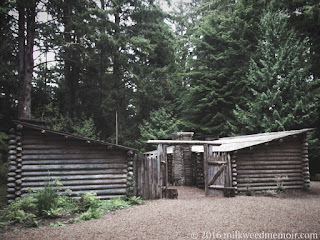 Having read "Undauted Courage" by Stephen Ambrose, I just had to stop by Fort Clatsop in the Lewis and Clark National and State Historical Parks. 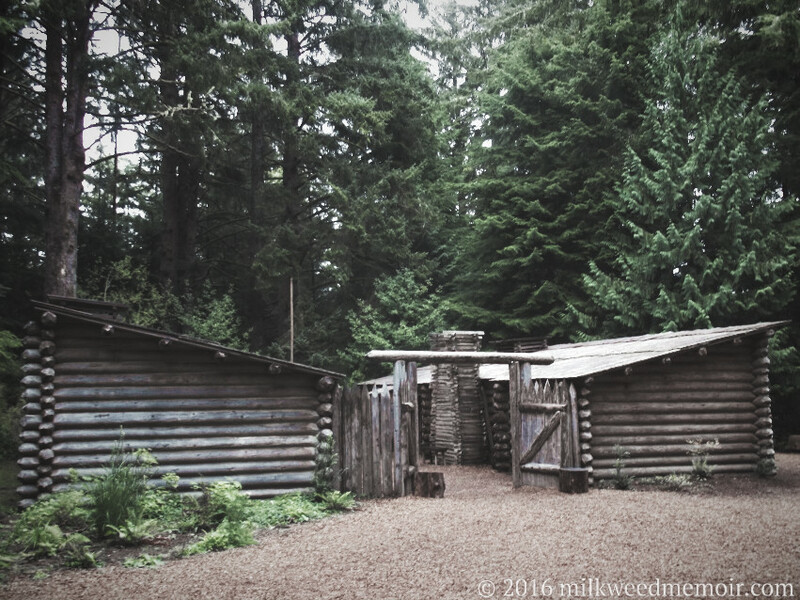 The (reproduction) fort looked quite comfy and defensible, really. This is a good thing because the weather was as cold and wet as Lewis says it was in the winter of 1805-6. 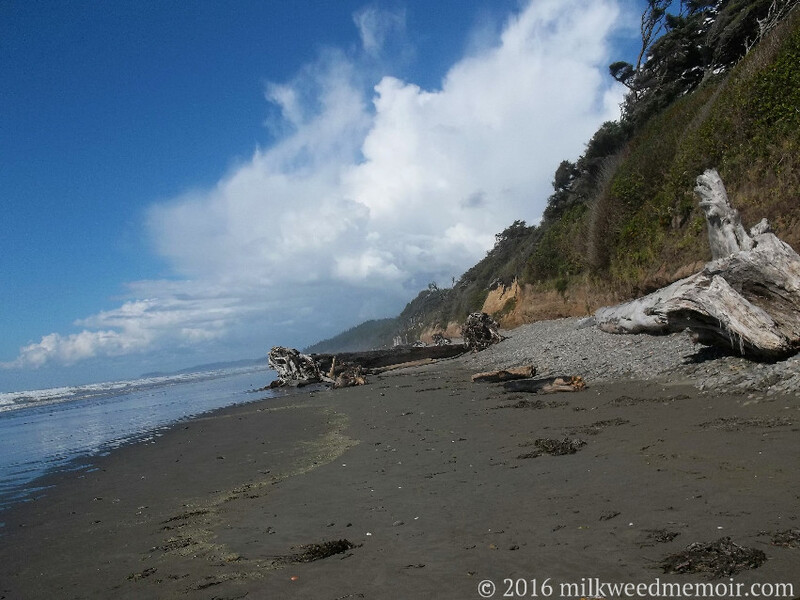 The distant log on Olympic National Park's Kalaloch Beach is as thick at the base as a tall man, about 6 ft. (2 m). Yet it's hardly even a giant among the Sitka spruces of Washington.